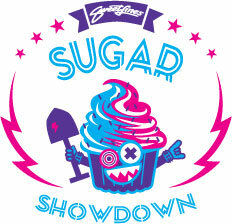 What the heck is a Sugar Showdown? In its fifth year, the Sugar Showdown is a place where the young and old (6-60 years old), the beginners and the veterans, can come out for several days to either be coached or be a mentor. Many arrive with almost no understanding of how to jump a bike, but Kat Sweet from Sweetlines and her professional coaches bring them from novice to confident riders in just a couple of days. On the last day, the ladies get to show off what they learned in a Sunday completion that encompasses all skill and age levels, with awards and raffle prizes at the end. Seeing the little girls watch the pros with wide eyes and imagining the inspiration that is growing inside is something to behold.